3 Bedroom, 2 bath split-level home with open floor plan. Master BR has its own bathroom. Finished lower level has spacious family room and 1-car garage. Laminate/vinyl flooring. Heat pump replaced last year. Home situated on a half-acre partially-wooded lot which backs to neighborhood park with playground, basketball area and picnic area. 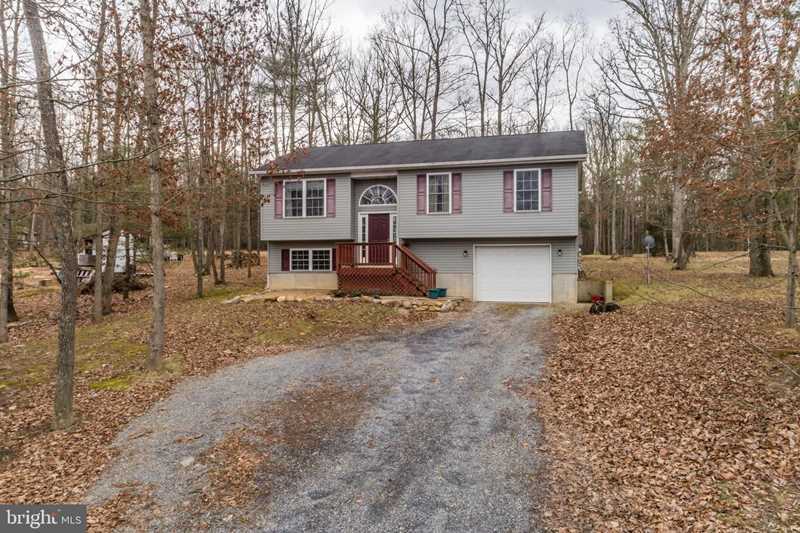 Conveniently located near many recreational sites including the George Washington National Forest! SchoolsClick map icons below to view information for schools near 700 Warden Circle Rd Wardensville, WV 26851.